We hope you have been able to enjoy this extra long break spending special time with family and friends. We look forward to welcoming our staff and students back on Monday, January 7th. The halls were too quiet this week and we look forward to having everyone back. You have been missed! Our Advanced Academic Resource Teacher, Amy Vallath, will be available to answer questions and review referral files before our referrals are due to make sure they are complete. You can reach her at AJVallath@fcps.edu or 703-714-8240. January 10, 2019: All AAP Level IV referrals and optional materials are due to the Chesterbrook front office by 4 pm. Chesterbrook will host the second session on Wednesday, January 9th. This year, the PTSA is partnering with counselors in the McLean Pyramid to offer a Pyramid-Wide book talk series and author event on The Self-Driven Child, The Science and Sense of Giving Your Kids More Control Over Their Lives by William Stixrud, PhD, and Ned Johnson. The Self-Driven Child empowers parents with practical tools to help their children reduce stress and anxiety, while building capacity for resilience, success, and optimal development. The authors work with students in the Washington, DC metro area and offer keen insights into the stress and anxiety that children of high-achieving schools are experiencing. The strategies shared in the book are relevant for parents of children of ALL ages…from age 2 to age 18 and beyond! Kathleen Otal, M.Ed., a former elementary school counselor and current counselor at McLean High School, is leading the book talks. In addition, the authors of the book will speak at McLean High School in the spring. Even if you don’t have time to read the book, you will learn valuable parenting strategies that will help your child develop the skills to succeed! Why downtime is essential for children to develop resiliency. How to teach children to stay in charge of technology without it taking over their lives. How to encourage your child to take their sense of control to school. You can also look forward to hearing the authors of the book speak when the come to McLean High School the evening of Wednesday, March 20. Upon return from the winter break, we have experienced a lot of weather that has impacted our school days. I'm pleased to go into classrooms and see students ready to learn and excited to be at school. It's nice to talk about the possibility of winter weather and students share that they don't want to miss any more school. I know all students may not feel the same way, but I do appreciate hearing students are enjoying school and want to be present and active in their learning. We have a new cafeteria arrangement of tables to promote smaller groupings and a warmer, cozier environment. We have also begun an incentive program to recognize classes for achievement of high expectations for cafeteria behavior. Our 1st round of Golden Tray awards were given this week. Weekly recognitions will go out for a K-3 class and 4-6 class that earns the most points during their week in the cafeteria. If multiple classes earn the top score, we will recognize all those classes. Chesterbrook is proud of the excellent teaching staff and we thank our community for consideration in nominating great employees. We were thrilled to recognize six employees that were nominated for Employee Awards for the 2018-19 school year. At our January staff meeting, the following employees were recognized for their nominations. 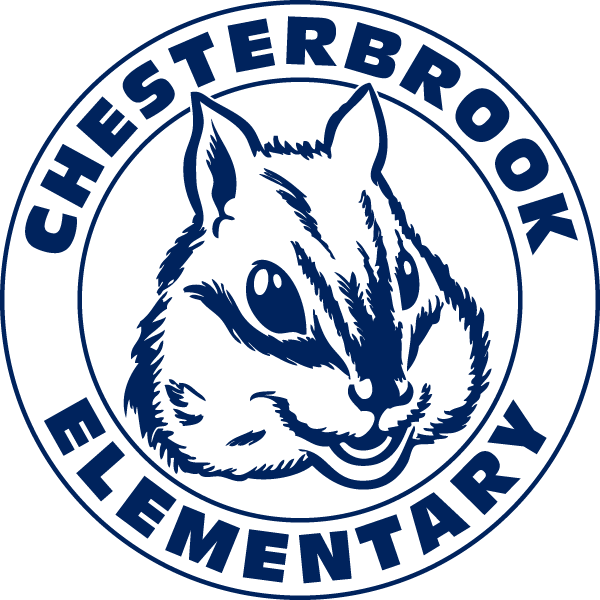 Chesterbrook school based winners that have been forwarded to the pyramid level in categories listed above are Ms. Maddy King, Mrs. Deanna Sivik and Mr. Dave Troskey. Best of luck to our Chesterbrook winners. We are so proud of you. We welcome our government employees that have applied to substitute in FCPS to support our Chesterbrook classrooms. Parents are invited to call the front office and let us know if you have recently been approved to substitute. We would love to add you to our sub list. What are your views on a 21st century education and the role of technology in it? FCPS is encouraging your participation in a national survey to voice their views on this important topic. The "Speak Up" survey is part of the Speak Up National Research Project, which collects and reports on the authentic, unfiltered views and opinions of K-12 students, parents and educators on critical 21st century education and technology issues. You can read more about the Speak Up survey on the FCPS webpage. There you will see the survey link, also found here (secret word = fcps). Note that the survey window closes on Jan. 31. Thank you for taking the time to express your views! Before the winter break, I notified you that your child would be taking a statewide Student School Climate Survey mandated by the Virginia Department of Education. This survey was scheduled to be conducted from Monday, January 14, 2019 to Friday, February 8, 2019. Based on feedback from principals and school administrators, Dr. Brabrand, in collaboration and consultation with State Superintendent, has granted an exemption of the VDOE Student School Climate Survey for this year. Therefore, the VDOE Student School Climate survey will not be administered. REMINDER that there is no school on Monday for our school planning day. If you have visited Chesterbrook in January, you may have noticed our new cafeteria setup. Tables were moved into a different setup to allow for smaller groupings of students. It's a bit cozier and hopefully students feel that they can better converse with their friends. It has also allowed for better movement during lunch and overall increased behavior management. Last week, we were proud to have multiple classes earn our Golden Tray Award. Congratulations Mrs. Verdi's class for our overall K-3 award. Our upper grades had a four way tie! Congratulations to the following classes-Miss Nalewanski, Ms. Storks, Ms. King and Mrs. Sivik. With the short week, we have to tally the numbers, but I hope many classes came out with recognitions for a great week! The Commonwealth of Virginia requires that all public schools conduct a lockdown drill during the month of January. Thursday, January 31st we held our lockdown drill. Our staff and students did a wonderful job preparing and completing this drill. During all of our safety drills, I have been impressed by the efforts of our students to listen and follow directions from their teachers. When we are conducting emergency drills we use the common language of voice level zero. Whenever we have an expectation of no talking in the halls, we will ask the students to use a voice level of zero. Ask your student to share with you the different voice levels (0 - 4). This is an exciting time for our incoming Kindergarten class. We are already preparing for the 2019-2020 school year. Please take a moment to complete this informational form. We will use these responses to help us have accurate enrollment numbers. We will be sending out information soon regarding our kindergarten orientation, which will most likely be held the beginning of April. Enrollment forms wil be collected prior to orientation or you may bring them to the event. Early enrollment will be important, since it will also include pre-assessment for our incoming students. Physical (done within one year of 8/26/19) with Immunizations - if this is already completed please feel free to bring it at the time of registration. February 10, 2018, 2-5 p.m. Chinatown - on H Street, NW, between 6th and 7th Streets. Each year a parade is held in Chinatown to celebrate the Chinese New Year. The event features the traditional Chinese Dragon Dance, Kung Fu demonstrations and live musical entertainment. The firecracker will be lit at 3:45 p.m. A good place to view the parade is along 7th St. The closest Metro station is Gallery Place/Chinatown. See photos of the Chinese New Year Parade. Celebrate from 12-5 p.m. at the Chinatown Lunar New Year Festival, Chinatown Community Cultural Center, 616 H Street, NW Washington, DC. Programs and activities will include: live music and dance performances, traditional Chinese calligraphy, children’s crafts, face painting, tai chi and kung fu demonstrations, lion dancing, poetry readings, film screenings, art and photo exhibits, raffle prizes, New Year souvenirs, free giveaways, and much more. Kennedy Center Family Day: Lunar New Year Celebration February 9, 2018, 10:00 a.m. - 4 p.m. Roof Terrace, John F. Kennedy Center for the Performing Arts, 2700 F. St. NW, Washington, DC. Free, No tickets required. The event features activities and entertainment for all ages. Enjoy performances by Beijing acrobats and Chinese musicians. And much more! Learn the arts of paper cutting, Beijing-style applique, calligraphy, sugar and bottle painting, "bristle dolls," and Chinese makeup. Play dress up and more. This year the Chinese New Year falls on February 5th and it is the Year of Pig. (猪年) We talk about cultural topics on the Chinese New Year traditions, singing several songs, including the Good New Year, Gong-Xi Ge (Congratulations to You Song), and create some New Year crafts. Please check out the blackboard and let's learn and have fun together! Kindergarten Orientation for rising students is scheduled!!! Please spread the word that we will welcome our new kindergarten students and their parents at a Rising Kindergarten orientation on Friday, April 5th from 10AM - 12PM. Be prepared to get excited for the 2019-2020 school year!!! This week's principal message comes from a place of concern and care for your children. Student safety is always our first priority. We need to quickly address issues of students walking and cars in our parking lot during dismissal. I'm asking the community for support in helping keep our students safe as we arrive and dismiss each day. Can my student walk home today? Chesterbrook is no walking school. There are no crossing guard and this is not a possibility for our school. I addressed this with Safety and Security in August. The trails around the school are not monitored and are not intended as a safe way home for our students walking alone. As your child's principal, I take their safety traveling to and from school very seriously and need your help. Students may NOT walk to Starbucks or any other location after school. We no longer will honor green slips for students to walk unless accompanied by an adult. Students walking alone will be sent to the office to contact a parent for pickup. There are some homes in very close proximity and you may wish to discuss an exception to our no walker policy. If you have a situation where your child should walk and you would like principal consideration, please contact me so we can discuss. I will ask that you write a letter with this request that I will keep on file and identify the route in which your child will safely travel. Our wonderful office staff will keep note of any students with a special situation. Kiss N Ride and our Parking Lot has been an issue of talk in the community lately. I need to ask that you ONLY park in true parking spaces. Striped lines indicate that this is not a parking space, but an area to allow safe space for cars to drive through the lot. Handicapped spaces may ONLY be used for those with a handicap license plate or hang tag. Please be respectful of this law and the need of some parents needing to use this accommodation. We want to work with you to support students and appreciate your help in keeping each one of them safe. Fairfax County Public Schools (FCPS) is studying how school environments relate to discipline practices in the Division. As part of the study, you will receive a survey from FCPS’ Office of Research and Strategic Improvement (ORSI). The surveys are designed to help FCPS understand you and your child’s thoughts about the school environment and how discipline is approached in their school. Surveys to parents will be translated into multiple languages and come via eNotify. Participation is voluntary for you and your child, and all responses will be anonymous. In celebration of our Physical Education Dance Unit, we invite you to participate with your child during this exciting event! Bring Your Parents to PE Week is an event designed to give each and every parent the opportunity to sample the Physical Education Program at Chesterbrook with their child. When to Come: During one of your child’s PE class next week from Tuesday Feb. 19th to Thursday Feb 21st. (Ms. Mabile’s class event will be held on Friday). Where to Go: Please check in at the front office, then walk straight down to the Gym! What to Bring: Appropriate attire, including sneakers and comfortable, clothing. You may also want to bring a water bottle. What to Expect: This is a hands-on experience! Come ready to engage in various dances that your children have been working on over the past two weeks. We understand that adults do not move in the same ways as children, so you can participate at your own comfort level. Sign up: Just show up when it is your child’s PE time! Please see schedule on the back of flyer. Fairfax County Public Schools invites qualified individuals to join our transportation team. This is a great opportunity for stay-at-home parents to earn income with benefits (and bring your preschooler to work with you!). Retirees, college students and career-switchers are also encouraged to apply. We hope everyone has enjoyed a warm, safe snow day. While these days can be welcome, they do have an effect on the school week and unfortunately we have had some events affected by the weather. The PE Department has extended it’s Bring Your Parent to PE event since we not have school today, Wednesday, February 20th. Parents will be allowed to attend their child’s regularly scheduled gym class on Friday. Unfortunately, there will be four classes (Hudler, Navarro, Harmon, King) that will not have an opportunity to have parents attend due to Presidents Day and the Wednesday school closure. With the 2 hour delay tomorrow, Thursday, February 21st, parents are welcome to join their child’s regularly scheduled 2 hour delay class on Thursday. Thanks for your flexibility and understanding! Students scheduled for the field trip tomorrow, Thursday, February 21st, will remain at school. With the closure Wednesday and 2 hour delay on Thursday, all 6th grade field trips scheduled this week will need to be rescheduled. Spring is around the corner, even on the heals of this winter storm. We are looking forward to scheduling a few days of spring cleanup to make our courtyards more accessible to student learning. We can use your help. NEWSPAPERS! We need newspapers and if you have extra landscape fabric you are not using, we will put it to good use. Please send in old newspaper or landscape fabric to the front office if you can donate. We will also be scheduling a few cleanup days and can use volunteers. Additionally, if you have special skills to help with projects please let us know so we can tap your expertise. We are cleaning up walkways and patios, landscaping, laying barriers fabric/newspapers to keep weeds at bay and fixing up some structures in our courtyards. We welcome the skill set of our parents as we work to clean up our outside areas. Please share your information here if you can help. Thank you for your support and help! We are looking forward to this great annual event. Check out more information on Fun Fair. Adults can sign-up to volunteer here. Middle and High School Students can sign-up to volunteer here. Due to the anticipation of bad weather for Friday, March 1st, we have made a back-up plan for the 4th grade Colonial Day. If school is full day tomorrow, Colonial day will be held as planned. If school is delayed or cancelled, Colonial Day will be rescheduled for Wednesday, March 6th. If it is rescheduled, communication will go out to volunteers to confirm support for the rescheduled day. By 6th grade, absenteeism is one of the three signs that a student may drop out of high school. Missing 10% (or about 18 days) can make it harder to learn to read and drastically affect a student’s academic success. Absences can affect the whole classroom if the teacher slows down learning to help absent children catch up. Lay out clothes and pack backpack the night before. The presentation portion of the event will take no more than the first 40 minutes and will be delivered by a panel of school staff, drug abuse counselors, and a Fairfax County Police member in the Crime Prevention unit. The rest of the time will be open for Q&A as well as an opportunity for parents to come up and see actual samples of drug paraphernalia (including the latest vaping devices). The FCPS Parent Resource Center offers FREE workshops and conferences throughout the school year! Click here to view available opportunities. We are looking forward to another great week Last week, we had a wonderfully engaging week of learning at Chesterbrook. We began with Dr. Seuss' Read Across America. I had the opportunity to read in a few classrooms which was certainly a highlight of my week. On Tuesday and Wednesday, all of our students were treated to an educational assembly from the Maryland Science Center, funded by our generous PTA. The snow delay the previous week moved our fourth grade Colonial Day to last Wednesday, however, did not change the outcome of this incredible opportunity for our students. We had a full day filled with students learning colonial trades and activities. I even came home with lovely homemade soaps made by our students. I was very impressed with the focus our students gave to each activity and thoroughly enjoyed watching children and parents enjoy colonial dancing at the end of the day. It has been a joy watching our teachers get our students prepared through focused instructional activities over the past few weeks and evident that our students had great parent support with their amazing projects and beautiful costumes. Thank you to the many volunteers that help make so many of our events at Chesterbrook possible. Principal Evaluation - Your Feedback is Important! As a first year principal, part of the evaluation process comes from survey data collected from staff and parents, identifying areas of strength and growth as I continue this path of life-long learning. I wanted to share this information regarding the process, so you can be prepared to receive the survey. This week all Chesterbrook parents will be contacted through email or text message with a link to the FCPS Principal Evaluation Parent/Guardian Feedback Form Online. The survey will be collected online between March 13 and March 27. This survey is part of the Performance Evaluation Program and offers parents an opportunity to provide anonymous input about various issues related to our school. These issues include instructional leadership, school climate, human resources management, organizational management, communication and community relations and professionalism. We have had a number of cars parked in non-designated parking spaces and using the handicapped spaces illegally during kiss and ride pickup in the afternoon. While it may save a couple minutes to park and walk to pickup your child, this is causing our parking lot to become difficult to maneuver and unsafe. If you are picking up your child we ask that you wait patiently to use kiss and ride. Our lot is small and cannot accommodate cars parked in non designated spaces. We appreciate your attention to this matter to create a safe and supportive environment. Thank you! If you want to order a yearbook please use this link. Chesterbrook's Yearbook ID Code is 13221419. Order deadline is April 12th. Encourage open dialogue with them around any concerns. It is our concern to promote quality health for the students in our school and to control and manage communicable diseases. In cooperation with the Fairfax County Health Department, we are sending this health information letter home because we are seeing an increased number of students with influenza-like illness in the school. Vaccinate your child and yourself against influenza this year and every year. Wash your hands often with soap and water, especially after coughing or sneezing. Teach your children to wash their hands frequently with soap and water for 20 seconds. Be sure to set a good example by doing this yourself. If soap and water are not available, alcohol-based hand sanitizers are also effective. Try to avoid close contact with individuals who have flu symptoms. Monitor your child for signs of illness. Symptoms of flu include fever plus a cough and/or sore throat. Do not send any child experiencing influenza symptoms to school. If your child is sent home with flu like symptoms, keep your child home and away from others until the child has been symptom free and without fever for at least 24 hours (i.e. he or she should not attend school, school functions, sporting or extracurricular activities, or leave the home except to seek medical care). Children with underlying medical conditions (e.g., asthma, neurologic or neurodevelopmental conditions, chronic lung disease, heart disease, blood disorders, endocrine disorders such as diabetes, kidney disorders, liver disorders, metabolic disorders, immunosuppressive conditions, including those taking chronic steroids). Children who are receiving long-term aspirin therapy. If you have questions regarding these recommendations, please contact your physician or the Fairfax County Health Department School Public Health Nurse, Janessa Deal at (703) 376-7365. 4/5 - Rising Kindergarten Orientation 10AM - 12PM ***Please see message below. Spread the word in your neighborhood and with friends of our rising kindergarten students. 4/12 - Yearbook Orders Due!!! Don't miss out. Please use this link to order a yearbook. Chesterbrook's Yearbook ID Code is 13221419. Join us as we feature William Stixrud, Ph.D. and Ned Johnson, the authors of The Self Driven Child: The Science and Sense of Giving Your Kids More Control Over Their Lives, as they empower parents with practical tools to help their children reduce stress and anxiety, while building capacity for resilience, success, and optimal development. The authors work with students in the Washington, DC metro area and offer keen insights into the stress and anxiety that children of high-achieving schools are experiencing. The strategies shared are relevant for parents of children of ALL ages. It will be an evening you don’t want to miss! The PTA along with our teachers and counselors have been preparing for your kids a special week where we dialogue with your kids about how to embrace kindness when differences are observed and how our school community is a better place when inclusion is embraced. Encourage your child to check out some of the book suggestions displayed in front of the library. Ask them about the “I Feel Included” worksheets that they and their classmates have taken the time to create and make sure they don’t miss the celebrity wall! Our 3rd-6th graders will participate in our first ever Walk In My Shoes assembly! They will participate in 6 hands-on activities that will help them experience the perspective of classmates that may experience fine motor, attention, sensory, social or visual challenges. It helps kids who don’t struggle to respect the kids that do. It is also extremely validating to go through this program when you have one of these struggles. You realize how amazing you are. We are already preparing for the 2019-2020 school year. Please take a moment to complete this informational form if you plan to register a new student. We will use these responses to help us have accurate enrollment numbers. Students and parents will experience many aspects of our kindergarten program throughout the morning including PE, Music, Art, Library and our Kindergarten class. We have an exciting morning planned that you will not want to miss. We would like to begin collective registration information PRIOR to kindergarten orientation, so please contact our front office to register your child. Early enrollment will be important, since it will also include pre-assessment for our incoming students with our kindergarten teachers. Please enroll your child by Friday, April 12th, so we can properly prepare and staff for our students. March 25th - April 12th Chesterbrook Elementary gives back to our community. This spring, we are going to be collecting the following items for McLean SHARE. Starting Monday and running through April 12th, we will collect items at Chesterbrook. There are many families in our area that need support. We would like to donate to our community by restocking SHARE’s shelves with food and personal care items. They do not receive a lot of donations during this time of year, so we look forward to helping them out. Thank you for your support of our drive for McLean SHARE.